Obv/ Face of the Holy Mother taken from a panagarion made in the X-XI century, currently held in the vaults of the Chilander monastery. 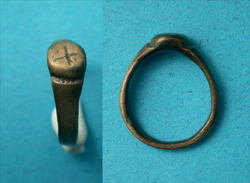 Rev/ Motifs of the Holy Mother taken from the official Zangic (Zanjic Island) monastery seal. We came across these medallions while walking the narrow streets of medieval Dubrovnik, in a tiny store whose marquee simply read 'Ikons'. We had to stop and look. 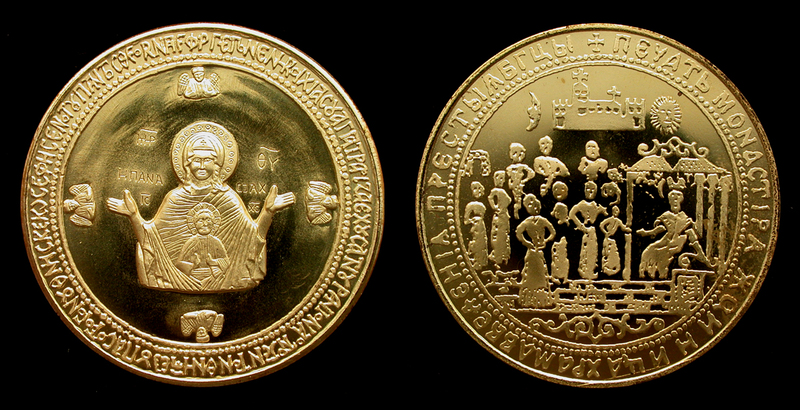 The shop was selling ikons and medallions such as these to help raise money for the contiuned upkeep and restoration of the two monastery's noted above. It seemed a like a good cause, so we purchased three. Each of these medallions comes encased in a round plastic slab.